Mellon Technologies, the parent company of Mellon Group of Companies, was founded in 1994 in Athens, Greece. Mellon Technologies holds a leading position in all its three business segments: hardware and software technology solutions, telemarketing and helpdesk services, business process management services. The company's portfolio addresses the need for operational and business efficiency of organizations with strong consumer business, such as financial institutions, retail chains, telecommunications providers, and public utility organizations. Mellon Bulgaria EAD, a subsidiary of Mellon Technologies and member of Mellon Group of Companies, was founded in 2001 in Sofia. The company has been established in the market for its dominant role in the introduction and streamlined implementation of new technologies, as well as for its quality contact centre and outsourcing services. Incorporating the Group's international know-how with the company's local expertise, Mellon Bulgaria is uniquely positioned to facilitate, secure and transform transactions. Mellon Ukraine, a subsidiary of Mellon Technologies and member of Mellon Group of Companies, was founded in 2007 in Kiev. The company has been established in the market for its dominant role in the introduction and streamlined implementation of new technologies. Incorporating the Group's international know-how with the company's local expertise, Mellon Ukraine is uniquely positioned to facilitate, secure and transform transactions. Mellon Solutions Dooel, a subsidiary of Mellon Technologies and member of Mellon Group of Companies, was founded in 2003 in Sκοpje. The company has been established in the market for its dominant role in the introduction and streamlined implementation of new technologies, as well as for its quality contact centre and outsourcing services. Incorporating the Group's international know-how with the company's local expertise, Mellon Solutions is uniquely positioned to facilitate, secure and transform transactions. Mellon Solutions – Kosovo Branch, was established in 2013 in Pristina. The office has been established in the market for its dominant role in the introduction and streamlined implementation of new technologies, as well as for its quality contact center and outsourcing services. Incorporating the Group's international know-how with the branch’s local expertise, Mellon Solutions – Kosovo Branch is uniquely positioned to facilitate, secure and transform transactions. Mellon Serbia, a subsidiary of Mellon Technologies and member of Mellon Group of Companies, was founded in 2001 in Belgrade. The company has been established in the market for its dominant role in the introduction and streamlined implementation of new technologies, as well as for its quality contact centre and outsourcing services. 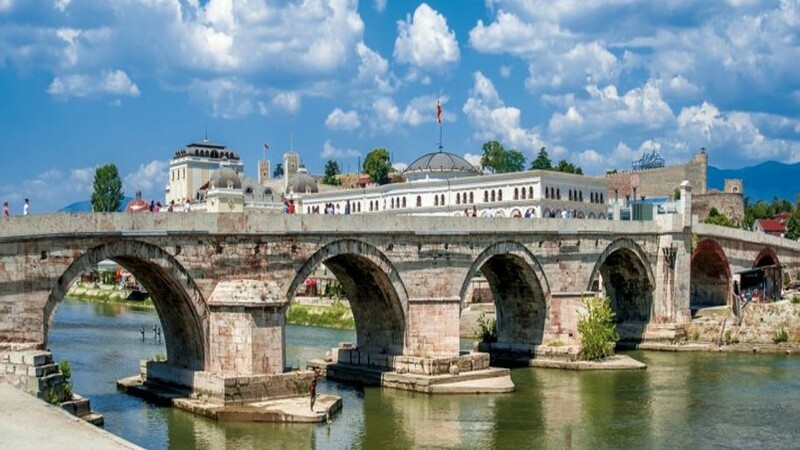 Incorporating the Group's international know-how with the company's local expertise, Mellon Serbia is uniquely positioned to facilitate, secure and transform transactions. Mellon Romania, a subsidiary of Mellon Technologies and member of Mellon Group of Companies, was founded in 2001 Bucharest. The company has been established in the market for its dominant role in the introduction and streamlined implementation of new technologies, as well as for its quality contact centre and outsourcing services. Incorporating the Group's international know-how with the company's local expertise, Mellon Romania is uniquely positioned to facilitate, secure and transform transactions. Mellon Poland Sp.zo.o, a subsidiary of Mellon Technologies and member of Mellon Group of Companies, was founded in in 2006 in Warsaw. The company has been established in the market for its dominant role in the introduction and streamlined implementation of new technologies, as well as for its quality contact center and outsourcing services. Incorporating the Group's international know-how with the company's local expertise, Mellon Poland is uniquely positioned to facilitate, secure and transform transactions. Mellon Cyprus Ltd, a subsidiary of Mellon Technologies and member of Mellon Group of Companies, was founded in 2000 in Nicosia. The company has been established in the market for its dominant role in the introduction and streamlined implementation of new technologies. Incorporating the Group's international know-how with the company's local expertise, Mellon Cyprus is uniquely positioned to facilitate, secure and transform transactions. Mellon Albania, a subsidiary of Mellon Technologies and member of Mellon Group of Companies, was founded was founded in 2004 in Tirana. The company has been established in the market for its dominant role in the introduction and streamlined implementation of new technologies, as well as for its quality contact center and outsourcing services. Incorporating the Group's international know-how with the company's local expertise, Mellon Albania is uniquely positioned to facilitate, secure and transform transactions. Mellon Algerie a subsidiary of Mellon Technologies and member of Mellon Group of Companies, was founded in 2017 in Algiers. The company has been established in the market for its dominant role in the introduction and streamlined implementation of new technologies. Incorporating the Group's international know-how with the company's local expertise, Mellon Algerie is uniquely positioned to facilitate, secure and transform transactions. Mellon Contact Services SA was established in 1997 with the objective to provide world-class debt management and collections services to companies that provide credit lines to facilitate transactions with their corporate customers and consumers. The company holds a leading position in the Greek market, maintaining a strong customer-base that consists primarily of financial institutions, telecommunications providers and top retail companies. Mellon Contact Services is a founding member of the Hellenic Association of Debt Management Companies (FENCA's branch in Greece) and is certified according to the ISO 9001:2015 and ISO 27001:2013 standards. 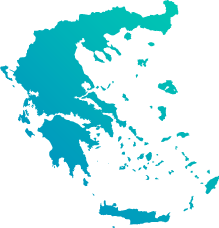 Mellon Employment Services has been established in 2013 in Greece aiming to provide mainly staffing services that correspond to every business need related to temporary employment, covering all levels of corporate recruiting. The processes that are applied allow us to ensure an optimum matching between the candidate and the role thus creating employment opportunities that are mutually beneficial for both sides.